Manuel Bañobre leads the Nanomedicine group at INL. His research is framed in the area of Nanomaterials applied to Biomedical Technologies. Dr. Bañobre’s research interest focuses on the engineering of multifunctional magnetic nanostructures as nanomedical platforms for diagnosis, therapy and theranostic applications, mainly focused on magnetic resonance imaging (MRI), magnetic hyperthermia (MH) and drug delivery (DD). 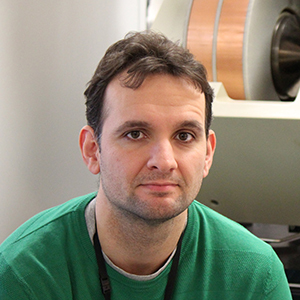 At educational level, he participates in advance courses in collaboration with the University and he is involved in the supervision of master, PhD and post-doc students at INL. He has got a PhD in Solid State Chemistry from the University of Santiago de Compostela, Spain. He has been a research visitor at the University of Texas at Austin and has performed his post-doctoral research at the INL in Applied Nanotechnology. His work has provided important insights into the relationship between the crystalline structure and the magnetic properties of metal transition oxides. In particular, significant contributions have been delivered about the physicochemical optimization of metal transition oxides nanoparticles as high-performance MRI and magnetic hyperthermia probes in cancer and cell therapies, bone tissue engineering and food related applications. He takes part in several project evaluation committees abroad and he is a regular reviewer of high-impact factor journals.